Use the power of the Infinity Gems not to dominate the universe but to protect your favorite cookies! Measuring approximately 12-inches tall, this legendary gauntlet features a removable lid so you can control all the cookies in your kitchen. 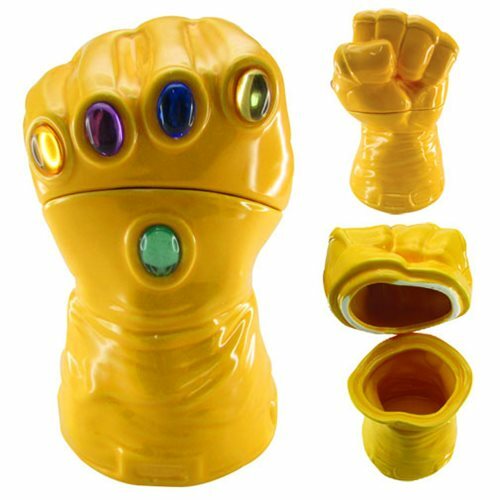 This Marvel Infinity Gauntlet Cookie Jar - Previews Exclusive is made from ceramic and comes packaged in a closed box. Do NOT microwave. Hand wash only. Not dishwasher safe. Ages 13 and up.